The new iMODELER offers a revolutionary way to both visualize and analyze complexity, thus allowing for better planning, communication and decision-making. The biggest challenge we face today and will face in the future is growing complexity. There is growing complexity in economics (projects, strategies, products, technology, organization), in politics (ecology, economy, culture, demographics), in society and in our private lives (five-year plan, work-life balance, family, relationships), and our success depends on our ability to identify the crucial factors and their interconnections. Studies have shown that we come up against a mental barrier when we try to grasp the interconnections between more than four factors. In such cases, we naively rely on our gut feelings – becoming emotionally deceived – and on past experiences, which occurred under different circumstances. The reason why it is quite complicated and arduous to analyze these individual cause and impact interconnections up until now seems largely to be due to the fact that the needed tools and methods to do so were far too complicated. However, the iMODELER and the KNOW WHY Method eliminate the former obstacles associated with analyzing individual cause and impact interconnections. The iMODELER is the first successful and easy-to-use modeling software. Its practicality is evident in the wide range of its users which include renowned companies, organizations, institutions, consultants, private users and students worldwide. We focus on a range of topics that include everything relating to discussion facilitation to business methods, such as “Balanced Scorecard”(BSC), knowledge management, SWOT analysis, change management, quality management, “Six Sigma,” corporate forecasting, risk analysis, project management, product development and much more. Our advice to you is simple and straightforward: if you have to think of anything that requires you to consider more than four factors, you should model it! However, simply having and using a tool is not enough. There are other important aspects needed in order to model cause and impact interconnections. First, you must have transparency, time and tools and methods that are easy to use. The new iMODELER completes the MODELER and allows for even simpler use and faster modeling. 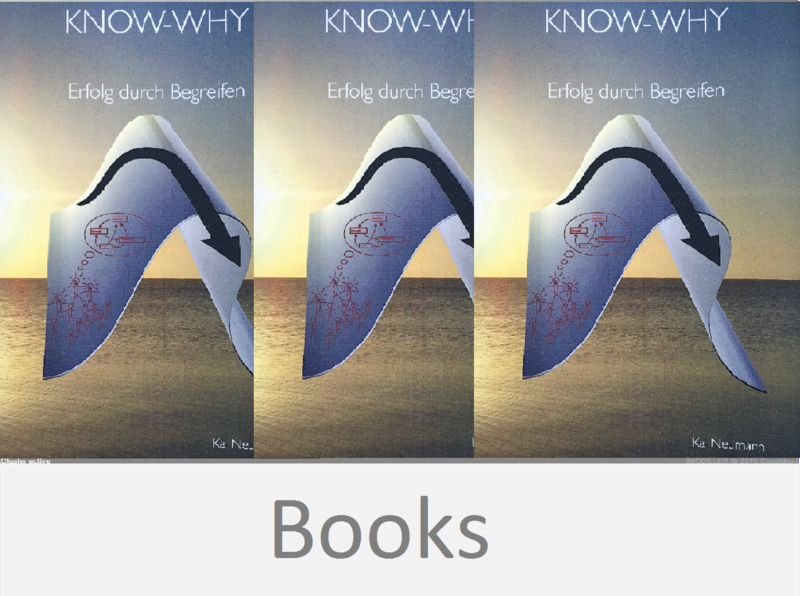 We have also finally integrated the KNOW WHY Method into the iMODELER. 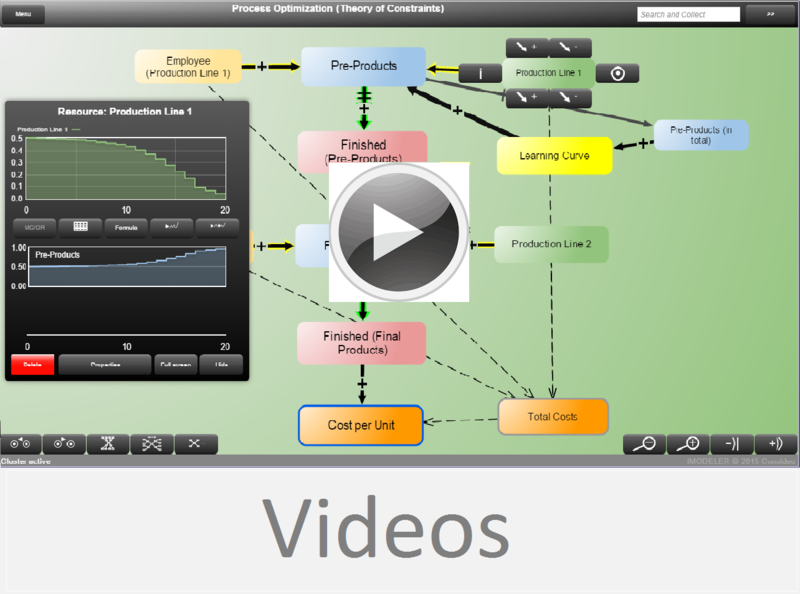 With the iMODELER you can do both qualitative and also quantitative modeling. Upcoming features include 3D presentation, touchless interaction and voice activated control. 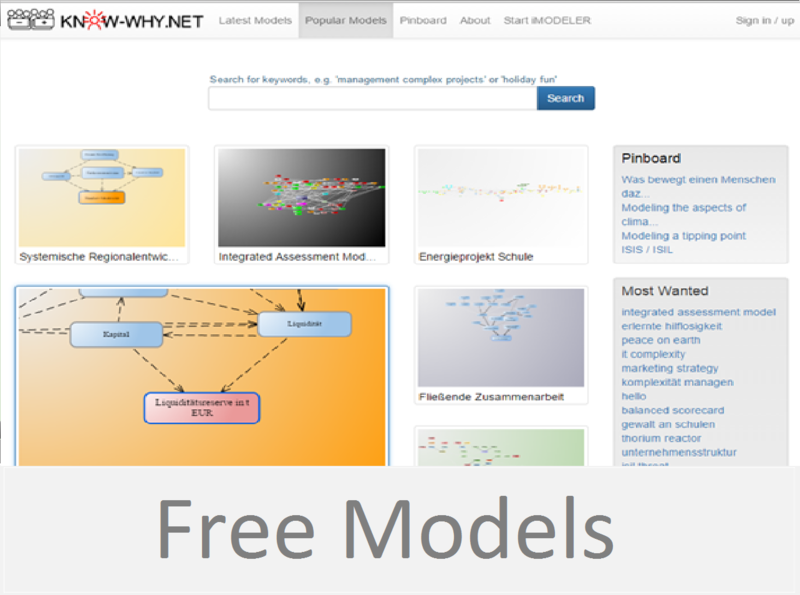 The iMODELER is already web based and runs on any modern browser (PC, smartphone, tablet). 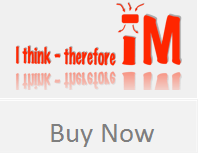 The iMODELER is optimized for multitouch interaction and can be used either as an online service at www.iMODELER.info, as a desktop version, or as its own iPhone app for iOS. Submodels have become obsolete thanks to fisheye views, the change of perspectives and the use of clusters that make it possible to look at models of any size. This view also serves to make modeling more exciting and is similar to how our brain makes associations. Model collaboratively, which means that more than one person can build a model at the same time on any device. 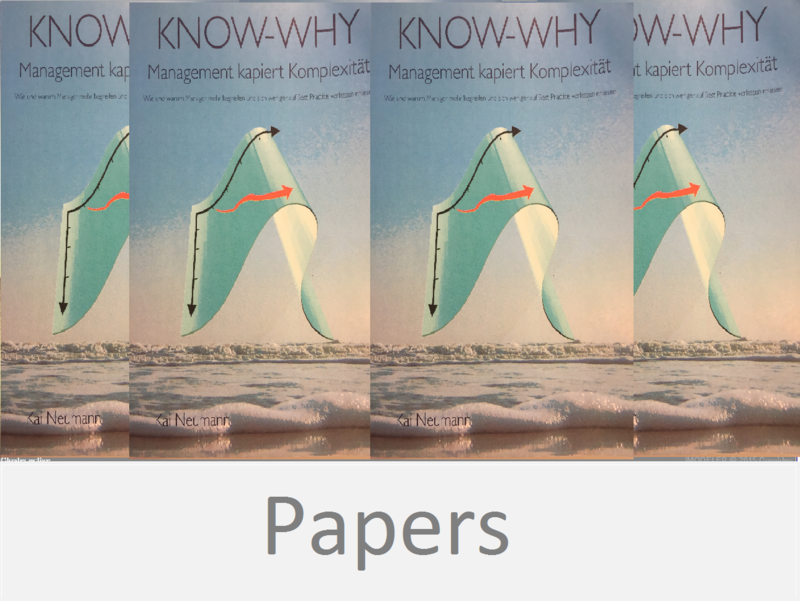 We have also implemented the KNOW WHY Method developed by Kai Neumann, which facilitates the building of well-structured models by including the decisive factors enabling practical connections to be made.